After what seems like an eternity, HBO has finally released the first full trailer for the sci-fi classic Fahrenheit 451. The movie is adapted from Ray Bradbury's 1953 novel where the future of the United States bans the written word and a team of "Firemen" hunts down books to burn them. 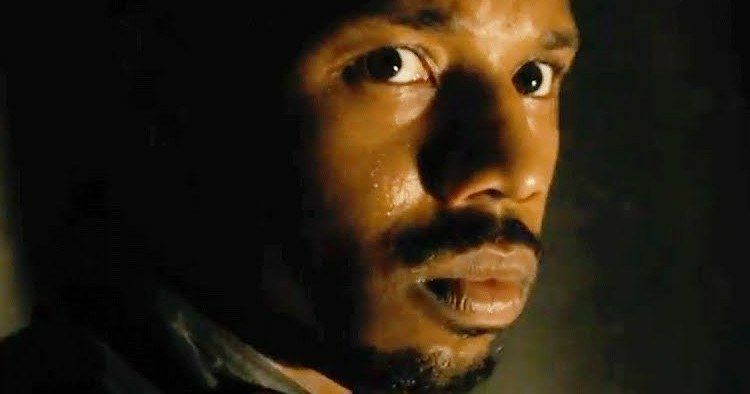 The movie stars Michael B. Jordan and Michael Shannon and from what the trailer shows, it looks just as intense as the book reads. It's an appropriate time to see Fahrenheit 451 come into the public consciousness with news and facts being attacked on a daily basis, just like the book predicted. Most of this first trailer of Fahrenheit 451 covers the parts of the novel where Guy Montag (Michael B. Jordan) is still part of the Firemen and as Montag's boss Captain Beatty (Michael Shannon) talks about the burning of books making society equal. Jordan, riding high on the success of Black Panther, looks just as intense as he does as Erik Killmonger squaring off against T'Challa. Additionally, the trailer gives insight into a stark futuristic version of a dystopian US society. Set in a future society where the written word is banned, Fahrenheit 451 follows fireman Michael B. Jordan's Guy Montag, who is tasked with the burning of the outlawed books. Montag later becomes disillusioned with the dystopian society he's helped by enforcing the censoring of works and destroying knowledge, eventually quitting his job and joining a resistance group who memorize and share the world's greatest literary and cultural works. Ray Bradbury has given to two interpretations of Fahrenheit 451, one of which is a commentary on the mass media reducing the need to read while the other directly has to do with book burning during the McCarthy era. Though Ray Bradbury downplayed the predictions of the future contained in Fahrenheit 451, specifically a future of book burning, he did correctly predict some technological achievements like flat screen televisions, ear bud headphones, and ATM machines. In addition, the warning against state-based censorship and about the dangers of an illiterate society infatuated with mass media and the threat of minority and special interest groups to books has regrettably in some ways, come true, or in the process of becoming true. Fahrenheit 451 is set to premiere on HBO sometime this May. The movie was directed by Ramin Bahrani and also stars Sofia Boutella and Martin Donovan. The trailer does an excellent job of setting the tone for the movie, but it could be a bit longer. A 1-minute long trailer leaves a lot to be desired and we're still pretty far from actually getting to see the movie. In the meantime, it gives us all plenty of time to go back and brush up on the book. You can check out the first trailer for HBO's Fahrenheit 451, starring Michael B. Jordan and Michael Shannon, below, thanks to HBO's YouTube channel.